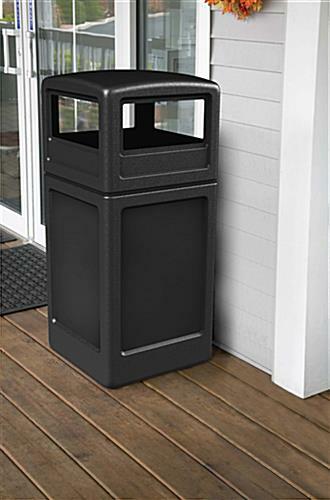 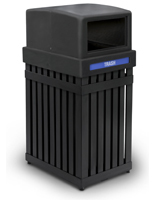 These black trash receptacles feature a covered lid that holds and hides 45 gallon garbage bags. 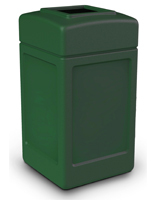 The waste disposal containers can withstand extreme temperatures and can be placed either indoors or outdoors. 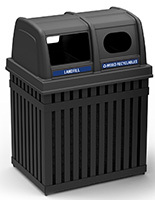 The trash receptacles are made of strong plastic and have a neutral finish that blends with any decor. 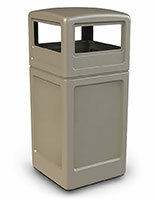 Waste disposal bins are ideal for reducing littering in entries, hallways, lobbies, and other areas with heavy traffic. Receptacles like these offer a convenient location to dispose of trash indoors and outdoors with their weather resistant construction. 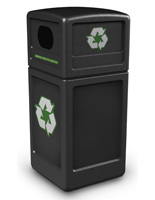 The removable lid makes changing bags quick and easy while minimizing the sight of rubbish. 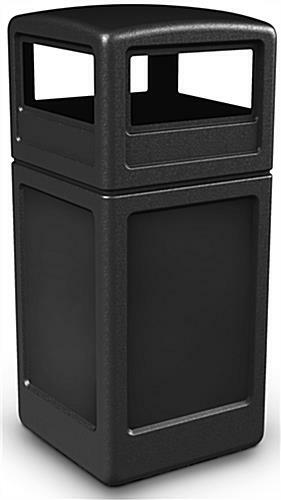 18.5" x 38.0" x 18.5"